The 2014 Better Boards Conference is the best kept secret for hundreds of high performing directors, CEOs and senior management teams to absorb the latest trends, new ideas, topical governance, leadership issues and solutions for the Not for Profit sector. 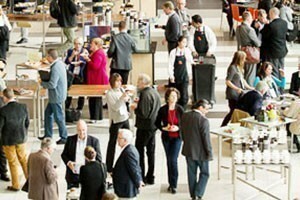 The 2014 Better Boards Conference will be held at the Adelaide Convention Centre on the August 1-3. Sometimes board members can become distanced from what’s really going on in their organisation or the wider sector. Even highly experienced board members can become stuck in a rut of the same practices and strategies. Best practice boards of Not for Profit organisations regularly undertake governance training to ensure that they meet and exceed the legislative, industry and governance standards as well as their constitutional documents. As a director, getting out and about with your board hat on can shake up your thinking and inject your board, and the whole organisation, with revitalising new ideas, innovations, strategies and experiences. Continuing Professional Development is vital for individual directors as well as boards as a whole, just as it is for many other roles at a professional level. The Better Boards Conference is just one way for directors to meet these obligations and it also provides the opportunity to get out and about with the whole board and form valuable connections with other leaders in the sector. Below are six more reasons why the Better Boards Conference has become one of the largest gatherings of leaders from Not for Profit organisations in Australasia. We never stop learning and this is just as true of those at the highest levels of an organisation as it is of the newest recruit. There is always some new tactic, system, standard or theory to be learnt. Attending the Better Boards Conference might help you to plug some knowledge gaps that you didn’t even know you had. The content and subjects presented at the Conference vary greatly and there is something for everyone, no matter your level of experience or the size of the organisation you serve. Research suggests that learning in groups or teams can significantly improve the effectiveness of your learning. Governance is not a solitary activity; attending the conference as a team will help your whole board to consolidate their skills and knowledge and streamline the process of turning learning into practice. Share and debate ideas with the rest of the board or other colleagues from the sector over the weekend and hone your thinking. Why not even make the Monday following the conference your annual planning day and put those new ideas and strategies to work straight away? The Better Boards Conference provides industry learning and advice from practitioners who have been in the places you’ve been and experts who have guided many others down the same path. Presentations are grounded in practice and presenters are encouraged to provide delegates with take home tips and tools to put into action in their organisations. The Better Boards Conference is a great opportunity to foster your relationships with other board members and senior managers in the Not for Profit sector. The conference provides an opportunity for board members from vastly different organisations to come together and share their common experiences. Many board members have strong connections with other organisations and executives in their industry, but limited contact with other similarly structured organisations that might be encountering the same challenges and developing surprising tactics and strategies with which to tackle them. Fostering these networks can also generate collaborative opportunities for you and your organisation. These are turbulent times for Not for Profit organisations, with funding and regulation changes uprooting many organisations and forcing them to make some tough strategic decisions. These times call for robust leadership and the courage to re-think, reinvent and re-launch your organisation. The Better Boards advisory committee chose this year’s theme with the current atmosphere in mind and with the intention of aiding boards on the journey to regenerate their organisations. Engage with others in the sector and take inspiration from their great ideas. The Conference provides fantastic opportunities to learn and share with other delegates, not just presenters. Panel discussions and an emphasis on Q&A discussions in each workshop will allow you to gain insights from your peers, benchmark your governance skills and knowledge and learn some great tried-and-tested tips from others doing the same thing as you. For over 12 years the Better Boards Conference has been the best kept secret of hundreds of high performing directors, CEOs and senior management teams who attend to discuss trends, hear new ideas and focus on topical governance and leadership issues and solutions pertinent to the Not for Profit sector.